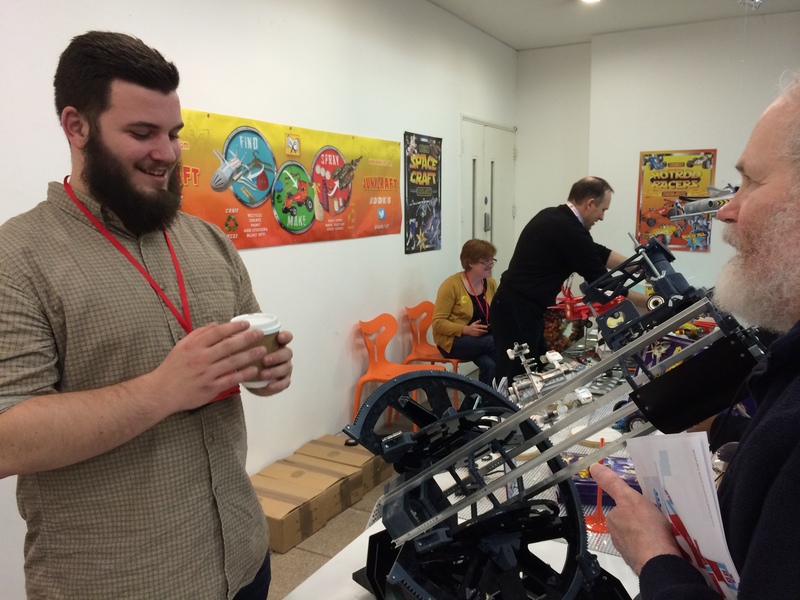 This post is a roundup of the Elephant & Castle Mini Maker Faire which was held at yesterday at the London College of Communication. That’s a wrap for this year’s Elephant & Castle Mini Maker Faire, the second here at the London College of Communication. With 120 makers exhibiting—almost half as many again as last year’s faire—this faire was a sprawling, crowded affair, bursting at the seams. Bigger, and louder, than last year, it was an amazing show. Every faire has it’s own flavour—they’re all slightly different—and this year’s Elephant & Castle was no exception. The faire felt very hands on, with a big presence from maker and hackerspaces both from London and beyond. In recent years there’s been a growing number of maker pros coming to faires, and while that’s great, it was really nice to see so many makers coming along with their own projects and not only letting people see them, but play and interact with them. Interestingly, the other big presence at the faire was from citizen scientists, noticeably enough to set me wondering whether this is the start of a general trend or a ‘just London’ sort of thing. While there’s always been a science presence at maker faire, there just seemed to be a lot of them here at Elephant & Castle. Biohacking is the next big thing, and it was really interesting to see what I think is the start of a big bio presence at maker faire, perhaps we can look forward to a biohacking village at next year’s Bay Area faire? Talking to Ilya Levantis from the London Biohackspace about JuicyPrint. There has been an fascinating trend recently towards makers building their own lab equipment, not just for citizen science, but also to go into professional research labs. So it was interesting to see that Ingenious Instruments, a team of two female engineers from Cambridge University, had brought their prototype high-precision microscope along to the faire. 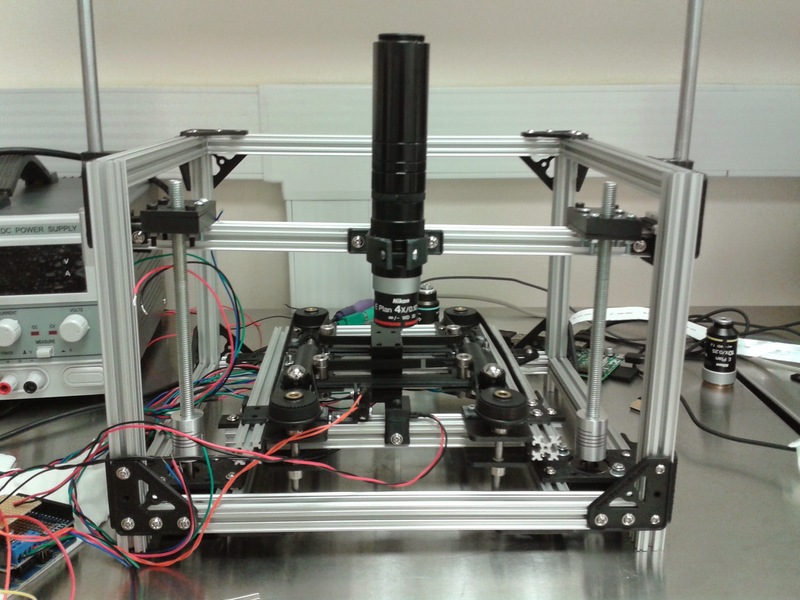 The prototype microscope from Ingenious Instruments. Keeping with the theme, Arachnid Labs brought along their Re:load Pro—a current sink, used in the design of electronic circuitry to simulate the load of a device on a power supply. 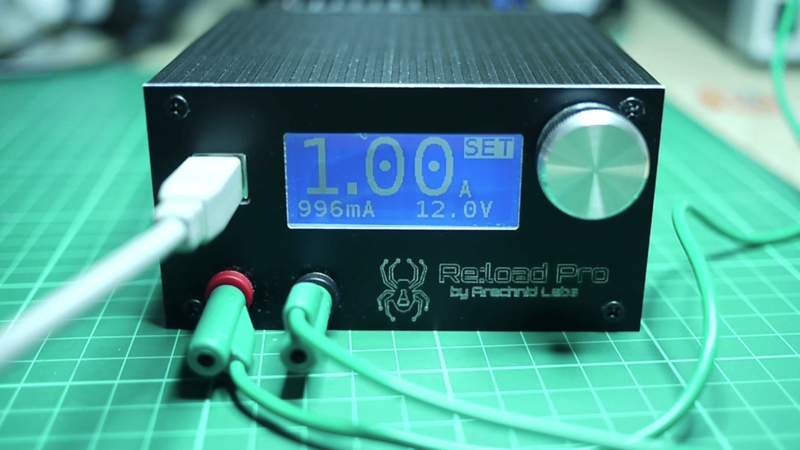 The Re:load Pro from Arachnid Labs. The Open Space Agency‘s Ultrascope telescope. 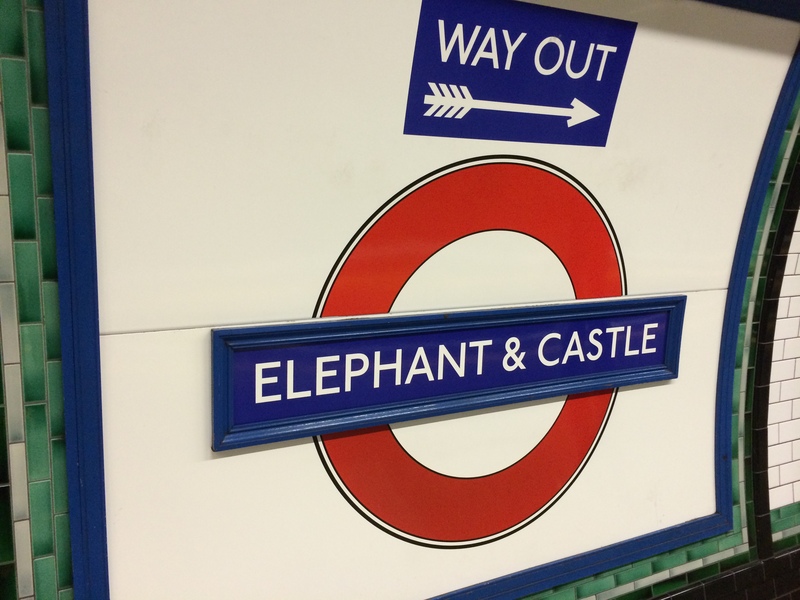 The name “Elephant and Castle” is derived from a coaching inn. The earliest surviving record of this name relating to the area is in the Court Leet Book of the Manor of Walworth, which met at “Elephant and Castle, Newington” on 21 March 1765. Previously the site was occupied by a blacksmith and cutler – the coat of arms of the Worshipful Company of Cutlers features an elephant with a castle (possibly meant to be a howdah) on its back, which in turn was used because of the use of elephant ivory in handles.